This is a really cute book with bright and colorful pictures. I learned a fun fact from reading this book! 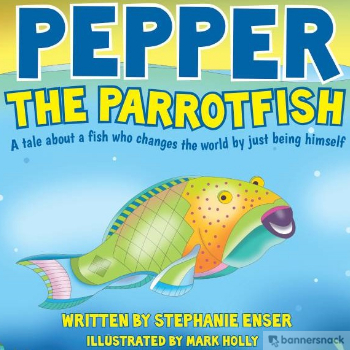 This educational picture book for ages 3-8 delights children and parents as they learn what makes the parrotfish a special part of our planet. Part of the proceeds will be donated towards marine conservation. Free Shipping for a limited time only! Colorado local author and illustrator.